The first oil and gas exploration and production operations in Portugal were carried out in the early 20th century. In the 1970s, after drill stem tests produced small quantities of crude oil, several wells were drilled. However, Portugal's petroleum potential – including its exclusive economic area – is still under-evaluated, with an average of 2.4 wells drilled per 1,000 square kilometres,2 and no proven reserves. Major efforts in the 1970s and 1980s aimed to locate commercial reserves, following the 'oil shocks' of the time and the discovery of crude oil in the Grand Banks, of which the offshore areas of Portugal are considered a geological continuation. However, the results of these efforts were disappointing and the industry's interest in the country declined. minimum exploration commitment requirements are of one well per block from the fourth year, with the rest being left for agreement in negotiations. Deep offshore areas will not be subject to these terms until a specific regulation is published (which is not expected anytime soon), an incentive to attract companies interested in exploring these areas, which will enjoy even greater flexibility when submitting their proposals. Shortly after the 1994 law was enacted, and to prepare for a public tender for the award of exploration and production rights, the authorities contracted TGS-NOPEC to conduct a seismic and gravimetric study of the deep offshore areas, which only then became available to exploration thanks to technological advances. The tender was organised in 2002, leading to the award, in 2005, of one concession covering two deep offshore blocks. Later, new rights were awarded following direct negotiations with several companies that approached the authorities. Regarding onshore, since 2001, 'strong indications' of gas in two wells in the Alcobaça region have been registered. Oil shows have also been registered, although production tests were inconclusive. In 2019, the current operator expects to obtain all necessary approvals in order to carry out a vertical pilot survey with a subsequent horizontal deviation, in order to test the occurrences of natural gas. From 31 August 2015, exploration activities were pursued under concession agreements in nine deep offshore areas and one onshore area, which was the same as in the previous year. Direct negotiations were held regarding five onshore and four deep offshore concession areas. As a result, concession rights were granted covering deep offshore areas off the southern coast and onshore areas in the centre of the country.3 However, in 2017, the government revoked certain concessions covering onshore areas in the southern coast on procedural grounds and partly motivated by environmental pressures. Overall, the authorities' attitude has been passive, responding to the initiative of interested companies rather that embarking on promotion, and reluctant to raise local unrest due to the population's environmental concerns on exploration projects. This, coupled with the perception that the country presents a high exploration risk, has resulted in a low level of activity over the past few years. Nevertheless, a task force has been appointed to prepare guidelines and recommended practices regarding shale oil and shale gas exploration (fracking), which seems to indicate that some interest has been shown in assessing the potential of the country's unconventional reserves. The applicable tax system is relatively simple. A royalty is levied on production in excess of 10,000 barrels of crude oil per year, set at 9 per cent in the case of onshore areas and 10 per cent in the case of shallow offshore areas (water less than 200 metres deep). Deep offshore and natural gas production, as well as annual onshore production below 6,000 barrels of crude oil and annual offshore production below 10,000 barrels of crude oil are not subject to royalties. Oil companies are also subject to corporate income tax (plus a municipal surcharge), which is levied on their profits. Imports and exports must comply with EU law. Conflicting interests with other activities that are seen as having a greater short-term social and economic impact may affect exploration operations: in at least one case, the formal signature of the concession agreement was delayed when activities scheduled to be started in the areas off the southern coast raised concerns in the press that tourism could be negatively affected by these oil exploration operations. This situation is now resolved and operations are expected to begin shortly. However, the combination of technological advances that enable exploration and production operations at ever greater depths, with the development of geological knowledge (and further discoveries made in the Grand Banks area), and a flexible and overall favourable legal and tax regime could justify a fresh look at the country's petroleum potential. Under Decree-Law No. 165/2013 of 16 December, as amended on 29 August 2014 by Decree-Law No. 130/2014, the former EGREP (Managing Authority of Petroleum Products Strategic Reserves) changed its name to the National Authority for the Fuel Market (ENMC), keeping its specific role as the entity responsible for constituting and maintaining the strategic portion of the national emergency stocks of crude oil and petroleum products. As mentioned above, the DGEG's responsibilities with regard to exploration, development and exploitation of oil resources were also transferred to the ENMC. In spite of this, there is a duty of cooperation and articulation with the DGEG regarding the preparation of laws and regulations, and on drafting relevant statistical information. However, the legislative tendency of transferring responsibilities to the ENMC has been reversed by State Budget Law of 2017 that determined the future extinction of the Energy Services Regulatory Agency (ERSE). This trend has been developed by recent legislative and governmental measures proceeding to the restructuring of the administrative agencies in charge of the energy areas. The first of the above-mentioned measures is Decree-Law No. 57-A/2018, of 13 July (already in force), which amends the by-laws of the ERSE, an important regulator empowered with regulatory powers in the electricity and natural gas areas). This amendment broadens the ERSE's powers, which now encompass the LPG, oil derivatives and biofuels sectors, which were transferred from the ENMC. Under the Decree-Law and as part of the competent bodies of ERSE, the Council for Fuels is created in order to serve as a consulting body for the execution of ERSE's powers in the LPG, oil derivatives and biofuels sectors. The second measure relates to the approval, by the Portuguese Counsel of Ministers dated 26 July 2018, of the restructuring of the ENMC, the DGEG and the Energy and Geology National Laboratory. The above-mentioned Act has not yet been published, but according to an official governmental press release, it will encompass a redenomination of the ENMC, which will now be named the Energy Sector National Entity (ENSE). According to the press release, this institutional restructuring aims to aggregate the supervision powers over the whole the energy sector in the ENSE. Also, it will transfer the ENMC's powers to the DGEG, concerning the development, prospection and production of oil resources and licensing in the fuel and LPG sectors. Oil and gas system is ruled out by Decree-Law 31/2006, of 15 February, that settles the General Framework for the Organization and Functioning of the National Oil System, as amended by Decree-Law 244/2015, of 19 October and that specifically governs refining, storage, transport and distribution. These activities are not subject to prior licensing, save regarding environmental licensing when applicable, industrial facilities licencing when applicable and transport facilities licensing that takes into account the technical capacity of the performer. The public interest oil facilities are ruled out by Regulation No. 1094/2016, of 14 October that established some obligations and rules for performer, namely regarding the capacity management. Import and export is not subject to licensing, but selling is subject to a licence. There is a specific regime for jet fuel, LPG and oil derivatives licensing. The main principles of the oil market are freedom of access to activities, non-discrimination, equality of opportunities and freedom to choose the oil selling company. Notice dated 21 July 1994, identifying the areas where oil exploration, development and production operations are permitted, amended by the notice dated 12 March 2002. Dispatch No. 82/94, establishing the fees chargeable by the competent authorities for the issuance of preliminary evaluation licences and for the signature of concession agreements and assignment agreements. Joint Dispatch No. A-87/94-XII, establishing surface rental charges. Ministerial Order No. 79/94, published on 26 July 1994, establishing the basis of the concession agreements referred to in Article 83 of the Decree-Law. 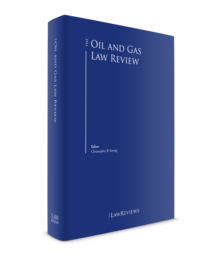 These legal documents aim to clarify and simplify the rules and procedures governing oil and gas exploration and production, including the award of rights, and thus attract new investment to these activities. Any underground mineral resources in the areas subject to the sovereignty or dominance of Portugal are an integral part of the state's public domain. Oil and gas exploration and production activities can only be performed under concessions granting exclusive rights without prejudice to any third parties, to other activities or resources, or to national interests in national defence, the environment, navigation and scientific investigation, and management and preservation of maritime resources. Conflicts must be resolved jointly by the overseeing ministers according to national interests and in compliance with applicable international law rules and principles. Studies merely aimed at providing better technical support to any requests for concessions can be conducted with a preliminary evaluation licence. Recent Law No. 82/2017 of 18 August, which entered immediately into force, establishes that any administrative procedure relating to prospection, research, experimental exploration and exploitation of hydrocarbons shall be preceded by compulsory consultation with the municipalities, in the respective areas of territorial jurisdiction. If the administrative procedure relates to exploration in the National Exclusive Economic Zone (offshore), the consultation shall be addressed to the municipalities of the relevant coastal line. The municipalities shall issue their opinion on the conditions for prospection and research activities, experimental exploration and exploitation of hydrocarbons, to provide the consulting entity with all the information available on the area required. In line with EU directives on public contracting and to increase transparency in award procedures, the preferred method for the award of oil and gas exploration and production rights is a public tender organised by the ENMC through its Unit for Research and Exploration of Oil Resources, which publishes the announcements in the Official Gazette and in the Official Journal of the European Union, specifying the terms of reference of the tender and the basis of the concession agreements. The ENMC assesses the bids, which must conform to the terms and conditions published with the announcement, and then submits a recommendation to the overseeing minister. The minister may decide to award the concession, depending on whether the received bids are satisfactory and comply with the terms of reference. The minister's decision is appealable to the administrative courts under general legal terms. Any company interested in a concession must apply directly to the ENMC. If no public bidding is announced, the ENMC will negotiate the terms and conditions of the concession, which must conform to the applicable legal provisions, and, within 90 days (extendable for a further 60 days), submit a proposal to the minister. A preliminary evaluation licence is limited to the analysis of existing data and documents, surface and wellbore samples, and other studies that contribute to a better understanding of the area's petroleum potential. The licence lasts for a single non-extendable period of six months unless it is compulsorily terminated by the state if the licensee fails to comply with its obligations. Within the limits of the law and the concession agreement, the concessionaire is free to decide on the best way to carry out its activities. However, it must perform the petroleum activities in a regular, continuous way and follow the best practices of the international petroleum industry, as it will be liable for losses and damages caused to the state or any third parties as a result of these activities. at any moment at the state's initiative, for reasons related to the public interest and with payment of fair compensation. On terminating the concession, any works, information, equipment, instruments, facilities and other assets permanently linked to the concession will revert to the state, free of any charge, cost or compensation to the concessionaire. The concessionaire and its contractors must keep confidential all data and information pertaining to the concession for the duration of the concession, and must not disclose any such information without the ENMC's prior authorisation. Directive 2013/30/EU of the European Parliament and of the Council of 12 June 2013, on safety of offshore oil and gas operations and amending Directive 2004/35/EC, was transposed into the Portuguese law by Decree-Law No. 13/2016 of 9 March 2016. The ENMC has direct regulatory competence over oil and gas exploration and production activities, and develops its activities under the supervision of the overseeing minister. Therefore, interested entities should address the ENMC to resolve any issues concerning a concession agreement or a preliminary evaluation licence. The ENMC acts as a facilitator in relations with other administrative entities, which may have interfering powers regarding the performance of operations, such as the environmental authorities. Fieldwork requires a formal environmental impact assessment and the adoption of adequate safeguards. Usual EU standards in these matters apply. Works relating to onshore operations, namely seismic assessments, drilling and construction require prior licensing from the competent municipal licensing entities. The maritime authorities grant licences for offshore operations and construction activities in areas subject to their jurisdiction (such as shoreline and harbours). Support and ancillary activities, usually carried out by contractors (such as land, air or sea transport, construction and radiotelegraphy) may require specific licensing as per general rules and regulations. This licensing requirement may also apply to contractors, as it is the concessionaire's responsibility to ensure that all its contractors have the required licences in good order. Portugal is a signatory of the New York Convention, and has a long-established practice of agreeing to arbitration as the preferred method for settling disputes, even when the state is a party. The Decree-Law states that a concession agreement (and its preliminary evaluation licence) has the nature of an administrative contract and that any disputes with the concessionaire arising from the concession agreement must be settled by arbitration, to be held in Portugal under Portuguese procedural laws.6 According to the Decree-Law, concession agreements must contain an arbitral clause. Rights granted: The concessionaire has the exclusive right to explore and, in the event of a discovery, develop and produce the crude oil and natural gas discovered. Initial period: The concession activities are split into several phases. The first phase is dedicated to exploration, defined as all office, laboratory work and fieldwork carried out in the concession area to discover or appraise petroleum accumulations not already included in a general development and production plan (see below). This phase lasts eight years11 extendable at the concessionaire's request for two additional periods of one year each). Annual work programmes and budgets: During the initial period, the concessionaire must submit a detailed annual work programme to the ENMC before the end of October. This work programme must include a budget for activities to be carried out in the following year. The ENMC may reject a plan if it breaches the law or the concession agreement, and ask the concessionaire to submit a new plan. Whenever technically justified, the concessionaire may submit amendments to the annual plan to the ENMC. Performance of activities: Once an annual plan has been approved, the activities specified in it are, in principle, also considered approved. However, the concessionaire must not start field operations (including geological and geophysical surveys, exploration drilling and gathering of samples for study) without the ENMC's approval. The concessionaire must request this approval with 30 days' advance notice. The ENMC will ask the concessionaire to submit a new proposal if the original proposal breaches the law or the concession agreement. Contractors: The concessionaire can use contractors to perform any activities or operations. The concessionaire must give prior notice to the ENMC of any contracts it intends to enter into for these purposes, and inform of the scope, duration, identity of the contractor and of the persons in charge of supervising these operations and activities. Bonds: During the initial period, the concessionaire must annually post a bond (a first demand bank guarantee or similar) for an amount equal to 50 per cent of the budget submitted to the ENMC for the relevant year. This bond must guarantee the payment of penalties or compensation for the breach of obligations and for any damage caused while performing operations. Exploration wells commitment: Exploration activities include drilling a number of exploration wells, as scheduled in the concession agreement. In principle, from the fourth year of the concession, at least one exploration well must be drilled in each block each year. The number of wells drilled in excess of the annual commitment are considered included in the commitment relating to the subsequent year. Area relinquishment: At the end of the fifth concession year, the concessionaire must relinquish at least 50 per cent of the area not included within demarcated areas (see below).12 The concessionaire can choose which parts of the concession area to relinquish. The relinquished area must have a regular polygonal shape. Rights to oil and gas: The concessionaire is entitled to extract and freely dispose of oil and gas resulting from its production operations. Flaring of any associated gas not used in production operations or channelled to commercial use requires the overseeing minister's approval. Transportation and storage facilities: The concessionaire can build transportation and storage facilities as required. Any surplus capacity in these facilities may have to be made available to third parties in mutually agreeable terms and conditions. Health and safety: The concessionaire must fulfil all national and EU health and safety regulations, and prepare and submit to ENMC the plans and measures necessary to ensure fulfilment, keeping them permanently updated. Environmental protection: The concessionaire must adopt all necessary measures and precautions to minimise the environmental impact of its activities, and must submit to ENMC its environmental protection plans in a timely manner as per applicable legal provisions. Unitisation: Oilfields extending beyond the concession's boundaries will be unitised if the area to which the oilfield extends is included in another concession. If the area is free, the concessionaire is entitled to request direct negotiations for the rights over that area. If the concessionaires of two adjoining areas disagree on the terms and conditions of the unitisation, the government may integrate the oilfield into one of the concessions under reference, basing its decision on sound economic and technical criteria. In this case, the government could also terminate the affected concessions, paying the appropriate compensation to the concessionaires whose interests are affected. Plugging and abandonment: The plugging of wells and abandonment of an oilfield on the grounds of lack of economic profitability or technical feasibility is subject to the ENMC's approval. The preliminary evaluation licence is a much simpler document. The rights enable the licensee, for a limited period, to access information with the purpose of conducting studies that may help substantiate its interest in securing concession rights. The concessionaire can market, domestically and abroad, the oil and gas it produces. Only restrictions contained in international sanctions to which Portugal is bound apply. There is no specific requirement to satisfy national oil and gas needs. In the event of war or national emergency declared by the government, all or part of the production may be requisitioned to ensure that Portugal's strategic requirements are met. The concessionaire is entitled to compensation in an amount equal to the market value price of the quantity of the requisitioned product. Market price, for these purposes, and for determining taxes, is defined as the price currently prevailing in international markets for products with similar characteristics. Subject to prior approval from the supervising minister, requested through the ENMC, the concessionaire (or licensee) can assign all or part of its rights to third parties. The sale of 50 per cent or more of the concessionaire's or licensee's shares will be deemed an assignment. The request must fully identify the assignee and provide adequate information on its technical and financial capabilities. The decision is made under ordinary administrative procedures and is usually issued within 90 days. A fee is payable on occasion (see Dispatch No. 82/94). The assignment may be subject to competition sanctioning according to applicable legal provisions. If the assignment is made by selling a participating interest, the gain (difference between book value and actual selling price) resulting from the proceeds of the sale will be subject to tax. The concessionaire will pay surface rental charges as stated in the concession agreement, which vary from €12.50 to €250 per year per square kilometre14 according to the potential of the area and the contractual period. There is a royalty on the value of the annual production. The applicable sliding scale rates are determined according to the table15 below. If these requirements are not met, the net profits of the tax period in which this non-compliance occurs must be adjusted accordingly. This deduction is conditional on the non-distribution of profits equal to the amount remaining uninvested. According to Decree-Law No. 151-B/2013, of 31 October (as amended by Decree-Law No. 47/2014, of 24 March, and Decree-Law No. 179/2015, of 27 August, Law No. 37/2017 of 2 June and Decree-Law No. 152-B/2017, of December 11), an environmental impact assessment must be submitted to and approved by the Portuguese Environmental Agency before launching any projects that are likely to significantly affect the environment, including oil and gas operations. Thus, the environmental impact assessment is considered a preventive method to foresee, estimate and reduce negative impacts and introduce possible alternatives, based on studies and data. The outcome of the assessment is an environmental impact statement. The statement includes the decision, which may be favourable (with or without conditions) or unfavourable. Law No. 37/2017 of 2 June, which entered into force on 3 June and amended Decree-Law No. 151-B/2013, makes the environmental impact assessment mandatory in the prospection, research and extraction operations of hydrocarbons. Previously, only the extraction of hydrocarbons equal to or greater than 300 tonnes per day was subject to the environmental impact assessment procedure. In addition, Law No. 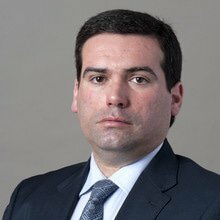 37/2017 establishes a technical committee with the aim of monitoring the execution of prospection, research and extraction of hydrocarbons, guaranteeing the exchange of information between the relevant entities, monitoring enforcement of prospection, research and production of oil, and issuing recommendations. Article 5 of Law No. 37/2017, which applies to concession agreements already entered into force or licenses already issued, establishes that there cannot be an administrative permission for the subsequent phases under Decree-Law No. 109/94, without complying with Law No. 37/2017. This means that an environmental impact assessment may be required. The Decree-Law does not have any specific decommissioning rules. However, the concessionaire's general duty is to act in accordance with the best practices of the industry (see Section II.i), and general legal provisions and principles governing environmental protection and safety would apply subsidiarily to abandonment. The concessionaire can abandon an oilfield for technical or economic reasons provided that it requests the minister's permission through the ENMC, which will convey the request to the minister, with its recommendation, within 30 days of receipt of the concessionaire's request. If the minister's decision is not communicated within 90 days of the ENMC's receipt of the concessionaire's request, the concessionaire may deem that the decision was negative and submit the issue to arbitration. The favoured way to award concession rights is through public bidding. However, the last public tender was organised in 2002 and there are no plans for a new one in the foreseeable future. Therefore, the advisable route for interested companies would be to approach the ENMC to conduct direct negotiations. The concessionaire does not have to be a Portuguese company, nor does the law require it to incorporate a local subsidiary. However, a form of local establishment must be created. Opening a branch of a foreign corporate entity satisfies this requirement. The purpose and main advantage of incorporating a branch (which is not a separate legal entity, but rather an extension of the head office with recognised local standing) is related to the simplification of foreign companies' activities and the reduction of direct and indirect costs. The branch, as part of the foreign company, is not required to have its own share capital. The incorporation documents may allocate to the branch a certain amount that will be used as equity to fund its activities. The branch managers designated by the company will be given all the powers necessary for the appropriate management of the branch. the branch is registered with social security. the minute books of the general meeting and board of directors are opened. A special fast-track procedure may be possible for the immediate incorporation of local companies and branches of foreign entities in Portugal. In this case, some formalities are shortened, as the investor is allowed to choose a corporate name from a list of pre-approved possibilities, and also from a set of by-law models, where the investor is required to fill in certain blanks, namely the amount of the share capital or equity, the description of the corporate purpose and the number of members of the corporate bodies and their identification. The investor may later make other changes to the models to suit its own purposes. 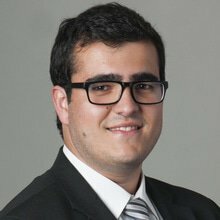 Portugal is a Member State of the EU and part of the eurozone, and, therefore, applies EU internal market rules to capital movements and access to foreign exchange. Without prejudice to the applicability of the harmonised legal framework on money laundering and terrorist financing, Portuguese law does not set limits for entry of foreign capital or access to foreign exchange. Save for limitations resulting from international sanctions, investments are treated under a principle of non-discrimination on grounds of nationality. There is no requirement for national partners, or specific obligations for foreign investors, or any restrictions on dividend repatriation. Most foreign and local companies are free to invest in any industry or business sector. However, in the case of activities subject to administrative control or licensing, particularly oil and gas operations, specific requirements may apply, such as the award of a concession. Portugal is a signatory to the Schengen Agreement governing circulation of persons. There are no restrictions on the ability of oil and gas operators to hire employees who are Portuguese nationals or citizens of other EU Member States. To hire workers from third countries, they must be duly legalised in Portugal or any other EU Member State, and hold a residence permit or temporary visa for that purpose. Obtaining a residence visa allowing the holder to work in Portugal depends on the employment vacancies that cannot be filled by Portuguese nationals or by nationals of other EU or EEA Member States, or of third countries with which the European Union has concluded an agreement on the free movement of people, as well as nationals of third countries legally residing in Portugal. In general, Portugal applies the same measures to prevent active and passive corruption as are applied in the other EU Member States, namely those prescribed in Directive 2003/568/JHA, issued on 22 July 2003 by the European Council, which calls on Member States to criminalise acts of active and passive corruption and to adopt the necessary measures to ensure the criminal liability of legal entities for such acts. Under Portuguese criminal legal provisions, organisations can be held criminally liable for crimes of corruption when improper tangible or intangible advantages are promised or given by a person that occupies a management position or is acting with delegated authority. The Portuguese Penal Code provides that legal entities are exempt from criminal liability for acts of corruption committed within the organisation if the perpetrator acted against express orders or instructions from management. In recent months, there has been a public debate about possible environmental consequences of oil and gas exploration operations, and members of the parliamentary coalition that supports the current government have expressed an intention to tighten environmental regulations concerning seismic and drilling operations. Following this debate, government sources indicated that a review of the current legislation could be in order, given that the current texts date from over 20 years ago and, therefore, do not reflect properly the technological advances of the industry and the environmental and other relevant concerns. If these intentions are confirmed, approval of new legislation is likely to take several months. Ten of the 15 concession contracts for prospection, research and exploration of hydrocarbons in Portugal have been cancelled or revoked in 2017, particularly motivated by environmental and political pressures. Some terminations have been challenged and are subject to arbitration procedures. Currently five concession contracts remain in force, two (named 'Batalha' and 'Pombal') operated by Australis Oil & Gas Portugal, Lda since 30 September 2015, on the Onshore Lusitanian Basin, and the remaining are in the Deep Offshore of the Alentejo Basin, currently operated by a consortium between Eni and Galp. An exploration well that was planned for the Offshore Alentejo Basin in the summer of 2016 has been approved but postponed to September/October 2018. In 2017, authorities requested additional environmental impact reports, which have taken longer than anticipated. This, in turn, has meant that the meteorological window for exploration in Offshore Alentejo Basin was lost in 2017. 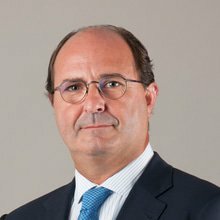 The Eni/Galp consortium wants to initiate an oil drilling survey in the deep offshore of the Alentejo Basin, 46.5 kilometres off the coast of Aljezur, and has required and been granted a title of exclusive use of the national maritime space by the General Directorate of Natural Resources, Safety and Maritime Services. According to the request '[t]he survey will be carried out using the Saipem 12000 (Ultra Deep Water Dynamic Positioning Drilling Ship)', 46.5 kilometres off the coast of Aljezur, and 'at a maximum depth of 1,070 meters in the Exclusive Economic Zone'. However, although the drilling survey was approved, an interlocutory order issued by the Loulé Administrative Court suspended once again the approved drilling survey claiming that there was 'a serious risk for the environment, even in the preliminary stage of the drilling operations'. 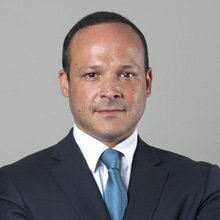 1 André Duarte Figueira is senior associate, Diogo Ortigão Ramos and Lourenço Vilhena de Freitas are partners and João Sequeira Sena is an associate at Cuatrecasas. 4 For the English version of the texts of the legal documents mentioned in this section, visit www.enmc.pt/en-GB/activities/exploration-and-production-of-petroleum-resources/legislation/. 5 For further details, see Section III. 6 In this case, the arbitral procedure would likely be ruled by the arbitral procedure regulation in Act 63/2011, published on 14 December. 7 Albania, Algeria, Angola, Argentina, Bosnia and Herzegovina, Brazil, Bulgaria, Cape Verde, Chile, China, Croatia, Cuba, Czech Republic, East Timor, Egypt, Gabon, Germany, Guinea-Bissau, Hungary, India, Jordan, Kuwait, Latvia, Libya, Lithuania, Macau, Mauritius, Mexico, Morocco, Mozambique, Pakistan, Paraguay, Peru, Philippines, Poland, Qatar, Republic of Congo, Romania, Russia, São Tomé and Príncipe, Senegal, Serbia, Slovakia, Slovenia, South Korea, Tunisia, Turkey, Ukraine, United Arab Emirates, Uruguay, Uzbekistan, Venezuela and Zimbabwe. 8 76 are already in force and three are signed, but still pending an exchange of notices to come into force. See http://info.portaldasfinancas.gov.pt/pt/informacao_fiscal/convencoes_evitar_dupla_tributacao/convencoes_tabelas_doclib/Documents/Table_DTC_2018.pdf . 10 For deep offshore areas, these limits may be exceeded. 11 For deep offshore areas, the duration limit may be exceeded. 12 For deep offshore areas, the area to be relinquished may be smaller. 13 For deep offshore areas, the time limits may be exceeded for the production period and its extensions, and for submitting the final delineation of the oilfield. 14 These amounts were set in 1995 in the Joint Dispatch mentioned above. 15 See Article 51 of Decree-Law No. 109/94, dated 26 April. c taxable profits in excess of €35 million = 9 per cent. 17 See Article 42 of the Portuguese Corporate Income Tax Code and Article 50 of Decree-Law No. 109/94, dated 26 April. 18 In the case of a company by shares (sociedade anónima), equivalent to the French SA or the German AG. In the case of another type of company, the 'sociedade por quotas,' similar to the French SàrL or the German GmbH, there is no minimum amount of share capital, which may be freely established by the shareholders, provided that each 'quota' has a minimum nominal amount of €1. Shareholders must deposit at least 50 per cent of the amount of each 'quota' before the incorporation of the company, the remainder being deferrable for up to five years.